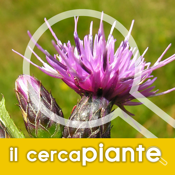 This gallery contains over 7600 images of vascular plants used for the creation of interactive keys by Project Dryades, the Italian branch of the European Project KeyToNature, coordinated by the Department of Life Sciences of the University of Trieste. Most of the pictures are original, and refer to both spontaneous and cultivated plants occurring in Italy. 3. Local names in Italian and Italian dialects. The list of local names is based on the those proposed by Pignatti (1982), on the Italian adaptation of several Latin names proposed by Nimis & Martellos (2005, 2006) and Nimis & al. (2006), and above all, on the names assembled by Penzig (1924) in his monumental "Flora Popolare Italiana". We followed Penzig in subdividing Italy into ‘linguistic areas’, which do not always coincide with the present administrative subdivisions (e.g. the area "Veneto" includes also parts of Trentino, Venezia Giulia and Istria). Accents and special characters are omitted in almost all names, to facilitate the queries. Warning: the names from the ‘linguistic areas’ are attributed to the single species mentioned by Penzig, but they often apply also to other related species. For the points 2 and 3 it is sufficient to insert a string of text (case-insensitive). The result is a list of species with a link to their pictures. Click on any species name to access the archive, and then click on any picture to enlarge it.